1. Learning how to buy gold stocks should include educating yourself about all the specifics of the market. These stocks are a must for many investors, but recognize that each company and stock is different from the others, namely, there are senior and junior player on the market each providing various risks and returns. Some stocks may be a higher risk than other available gold investment choices, and these should be avoided if you are conservative with your capital. 2. If you plan on making gold stock investments then minimize your costs so that the profit is larger. Online trading accounts can help you execute trades for as little as ten or fifteen dollars, sometimes even less. 3. Knowing how to buy gold stocks means knowing how important the research is on each company. Find out everything you possibly can about a gold stock before you decide to invest in it. This will help you prevent losses due to factors or information that was available to you. 4. If you do not know how to buy gold stocks, and you are not willing to take time and learn this subject, than you may want to choose another method for investing in gold instead. Gold bullion coins or bars may be a better option in these circumstances. 5. Gold futures or gold options may seem to offer better rewards than stocks, but there is also a much larger amount of risk involved as well. Because the future is uncertain you are usually better off sticking with gold stocks in companies that have a proven history. Look at the performance over the last fifty two weeks, and evaluate how the stock has performed in this time frame. 6. 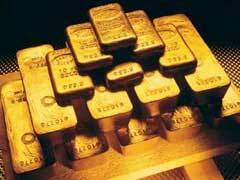 If you are learning how to buy gold stocks you should know about exchange traded funds, also called ETFs. These funds have many holdings, and their portfolio is set up to follow a certain precious metals index. 7. Avoid stocks of companies whose mining operations are centered in areas with unstable political climate, like in Africa, for example. This may significantly affect long term business operations and earnings.